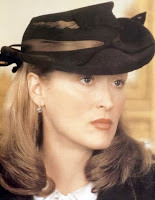 Following the story of Susan Traherne (Streep), from the play by David Hare, Plenty tells the tale of a woman, formerly a courier for the French during World War II, who deals with her post-war life. It's a sort of convoluted film that very clearly reads as a play. It's full of prolonged scenes and monologues that would on-stage be more captivating, but due to some uneven direction from Fred Schepisi (A Cry in the Dark), the play doesn't quite transfer entirely pleasingly. Streep is to be commended for her highly accurate French accent, but aside from her performance -- and the standard comic relief turn from a young Tracey Ullman as Susan's roommate Alice -- there isn't a lot to thoroughly enjoy about Plenty. Sure, some of the Brits rounding out the cast are admirable in their minor roles. 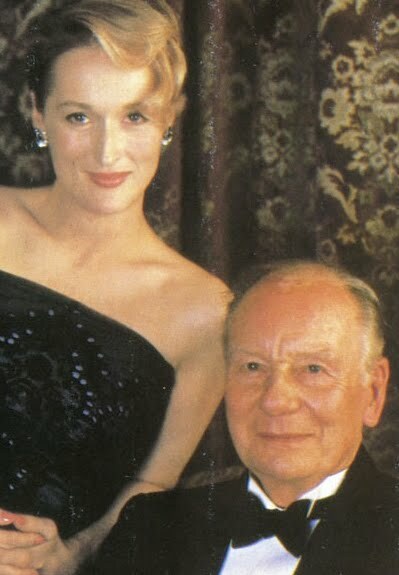 (John Gielgud and Sam Neill are particularly notable; the less said about Sting's cameo as Susan's sometimes lover, the better.) But ultimately the movie plays like a late-night, throwaway tele-film. We're meant to ooh and ahh over the post-war romance that Streep encounters at every corner (although her character seems immune to love and mostly in it for the physicality), but all we're given to truly be awe-inspired by are the decadent costumes (Meryl can certainly rock a 1940s hat!) and the distinguished accents. 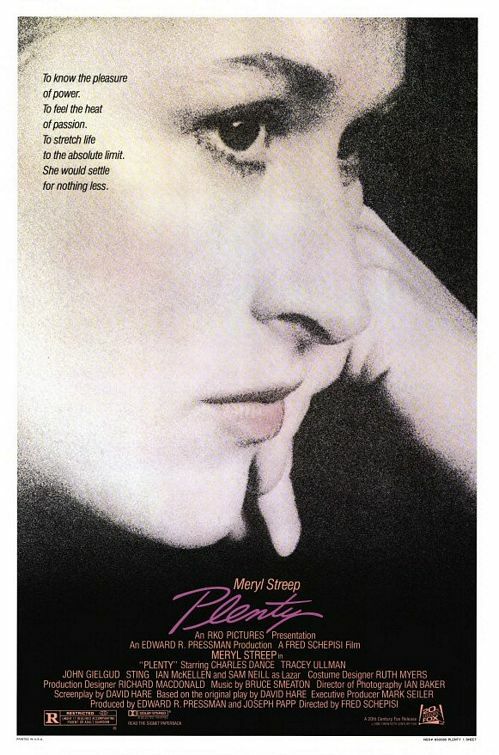 Plenty is a good enough showcase for Streep's abilities, but its often pointless plot structure and its consistently dull character arcs drag down what would be an otherwise intriguing story performed by otherwise talented actors. Though the film was generally well-received upon its release, perhaps its retrospective that is doing the harm.